Very nice ... good work, guys. The various LMDE / Debian branches are . . . fairly well explained and detailed. Now, we just to have this "sticky'ed"
(1) Would it be worth adding a few sentences, perhaps somewhere near the beginning, spelling out why building Linux Mint directly on Debian was/is thought to be a good idea in the first place? (2) Would it be helpful to make clear who might benefit from installing LMDE? For example, it could be: (a) existing Mint users wanting to move away from an Ubuntu base; (b) existing users of other Debian-based Linux distros looking for a good alternative one; (c) existing Linux users looking for a relatively easy way to try out Debian for the first time; (d) others (to be specified). sometimes in order to see if the installed mint packages have updates. That's... comprehensive. Thanks, great job. A little clumzy to first learn, but actually very easy to use after the very first time. A nice tutorial here. Good job! I learned a few things reading that. Interesting that in 6 months LMDX/LMDE will be frozen. 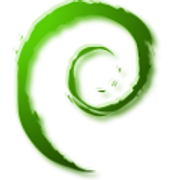 This may not be the place for it but I would strongly suggest at least one version of Mint Debian be based on Stable for newbies and others wanting a totally secure and stable OS. Maybe next year with Debian 7 release a Mint Debian iso available based on Debian Stable. I suspect it would be popular. May i suggest to add the new mintupdate-debian among the other fundamental tools? Of course, it plays an important role for update packs but also offers a nice and handy way to upgrade your system whatever are your sources.list. Another program that helped me sometimes while running Sid is apt-listbugs (it is in the repos). Totally agree. Maybe a note in the download page too. The sooner a new LMDE user finds this, the better. i'm still not convinced that a stable-based lmde would be the answer, the UP-system imho hold the answer for stability and novelty. MU-debian how could i forget about it? Excellent! This needs to be stickied. Thank you for taking the time to get all of this straight. Edit: what the hell are NMUs? Hmm... weather? Something like "cloudy, with a chance of broken dependencies"? Monsta, good idea! that way? Thanks alot for taking the time to write this. It answered some important questions I've had about how things work.